Try the best of Vietnamese dishes! 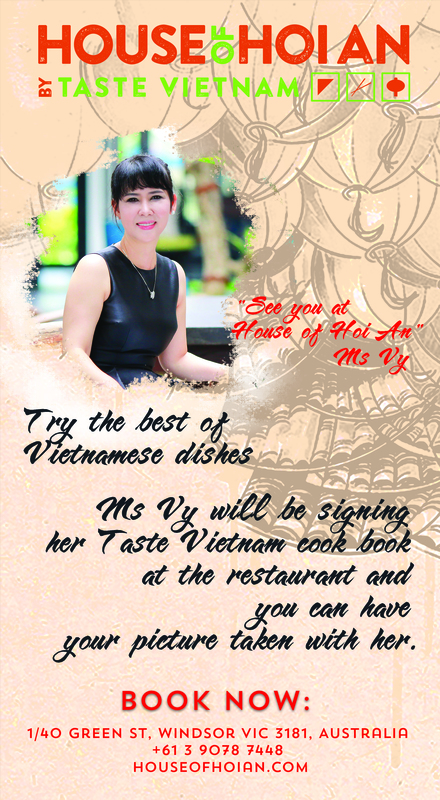 Ms Vy will be signing her TasteVietnam cook book at the restaurant and you can have your picture taken with her. Tet - Happy new year 2019! Buffet $22 inc. Free glass of House Wine.